The CEO of Artemide reveals her leadership philosophy. Thanks to its flagship store in the Dubai Design District, a skills hub and reference point for sector professionals, Artemide has already become a important local resource for designers and architects. At this year’s Downtown Design, during Dubai Design Week, the iconic brand presented its new collections, the result of partnerships with major international architectural firms and research into state-of-the-art technologies. The first light to represent the Artemide collections was Gople Lamp, a bespoke design by BIG for a particularly emblematic building in Dubai: Area 2071, an open lab for learning, as well as developing ideas and experiences, shaping the future and experimenting with solutions with the capacity to forge a better future for humanity. 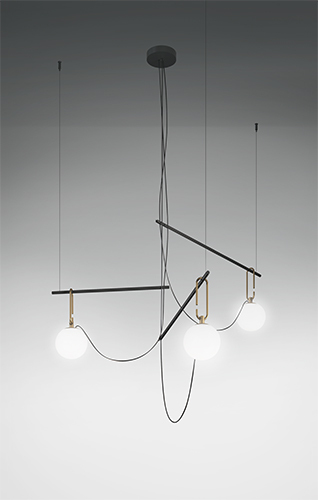 The Alphabet of Light system was another a perfect example of how Artemide’s know-how is able to translate the vision of a studio like BIG into universal products. 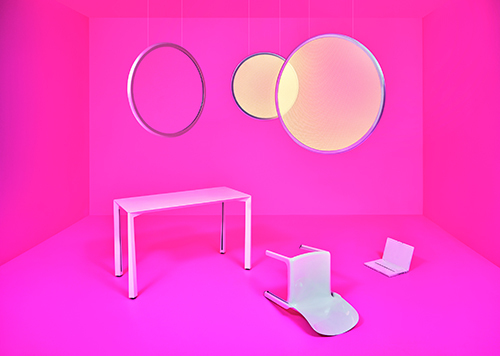 An alphabet of light comprising straight and curved modules, offering designers a tool for communicating and for designing a comfortable light that fits any space and is remarkably dynamic thanks to the control with the Artemide App. Representing the Architectural solutions was the A.24 system and the Vector family of spotlights, tools for enriching spaces with a variety of light performances offering continuity and flexibility. Discovery interprets Artemide’s technological know-how and culture of design with a surprising solution that translates innovation into emotional perception. It is a totally absent and dematerialized element that acquires volume only when switched on, revealing a striking presence and a comfortable and perfect light emission even for work spaces. Downtown Design also featured the presentation of the Come Together portable light, a task lamp that can be moved around freely, offering 3 light intensities and 16/8/4 hours unplugged from mains power thanks to a Li-Po rechargeable battery and ultra-high efficiency, generated by an optical system designed in-house by Artemide. What is your leadership/business philosophy? How was it formed? I’m an architect, a designer, a teacher and also an entrepreneur. This helps me to have an overall vision. The different aspects, with an open mind, can be combined with balance and enrich one another. Project design and business are interconnected; the central theme in both of them is to have a vision, to give meaning to the present and, above all, to try to open a new perspective to the future. I do not support lonely, top-down management, I believe in a working team, to which we give a direction, a vision. I look for alternative ways to rigid and preconceived schemes. Being an entrepreneur wasn’t a decision for me. My passion for architecture, design and light had started thanks to my mother, Franca de Bevilacqua, an architect in Milan, and later transformed into a business thanks to the teaching and daily experiences with Ernesto Gismondi, founder of Artemide and my lifelong companion. My passion is the research of technical innovation and the creation of new partnerships. I always love to meet new designers, new “inventors” and spend time with them talking about what is the meaning of “Light” and of a lighting project. If we work together there is always a common vision, made up of shared values, knowledge and, in its better sense, a business risk and stance. The first step for each product is to share this vision and start exchanging ideas with the people involved in the project journey, to form an idea, which is also a dream. I often have difficulty in the management of time! How do manage to strike a productive balance between business and aesthetic needs? Doing business means being competitive in the market. To have an interesting collection that meets the human needs, but is also innovative and with the right price, product design has to start from an idea and not from a shape. Only at the end of the project process a good product is able to restore not only the function but also the emotion and the beauty. Technological innovation, know how, a human and responsible approach to the lighting project will always enable us to shape beautiful enduring products. This is the typical talent of what we used to call “Made in Italy”: being able to translate the technique into beauty through innovation, culture and creativity, good manufacturing and sustainable economy. Innovation is nourished by research and scientific thought, that is, the ability to see things differently from the way we saw them before. Science is above all vision as well as rigorous research. It can increase our knowledge to interpret the future, and open new frontiers. It has always existed in dialogue with the humanistic tradition and has always created an interdisciplinary culture. Every innovative project was born with a scientific thought and a humanistic approach. For example, we can think of the genius of Leonardo; he was an engineer, a painter and a scientist! Furthermore, science is closely linked to the technique, to the “téchne”, a Greek word that means “art of know-how” and “passion for knowledge”. It implies creativity and competence not only as technology, but also as language and expression of beauty. Can you tell us about your latest accomplishment and how you achieved your goals? Nowadays it is crucial to reaffirm a vision, to know how to understand the new technological and cultural borders, reflecting on the need for a global world that needs to be reinterpreted and respected in order to offer flexible, qualitative and accessible responses. When we decide to work with architects there is always a new challenge that starts from the “Light needs” of the architectural project in which they are working. Together we begin to work on the concept and we arrive at a final solution. Artemide has always had a lot of “historical” partnerships, such as with Livio Castiglioni, Giò Ponti, Gae Aulenti, Vico Magistretti, Mario Botta, Aldo Rossi, Santiago Calatrava, Michele de Lucchi, Foster+Partners, Herzog & de Meuron just to name some of them! Since the beginning we had great relationships with architects because light and space projects are closely related. We continue to do this today, through collaborations with the most important protagonists of the contemporary panorama, interpreting the different cultural perspectives on the lighting project in an increasingly international openness that is enriched every year by the contribution of new architectural firms such as BIG, Elemental and Neri&Hu. What is your favourite business resource? I’m always connected with the telephone to share ideas and improve teamwork. Where do you seek advice? I am always looking at the future, constantly curious about the present and the past. I always try to put together people, thoughts, skills, creativity and to face the project with an interdisciplinary approach and a scientific thought. What advice to you have for young business leaders? My advice, which mirrors what I try to do, is to work to create a better alternative to what exists, learn from technological research, humanistic vision, ethical and social reflection: culture and competence are the real investment needed for the future. Why do you think Dubai is a top destination for the business of design? Dubai represents a meeting hub in the international scene. It offers an opportunity to get in touch with design and architecture professionals in the entire Middle East area. It is a bridge between Europe and Asia, bringing together an international culture and the capacity to look to the future in an open way. Many important foreign architecture firms are based in Dubai; its landmarks are perfect evidence of the cultural openness of this city to international panorama. 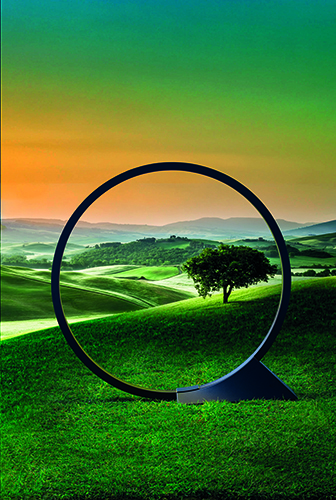 Artemide has found a fertile ground in Dubai, with so many new and different projects. What does the future of your industry hold? The future of your brand? In the light industry today we are only at the beginning of a great revolution: after LED technological innovation, photonics will redefine the role and potential of light, opening new landscapes of perception and interaction in the near future. The time it takes for the transfer of technology, that is to say the time that passes between research and its application, is growing ever shorter. This has opened up new frontiers of design. In the near future the light will open to unexpected relations and bring knowledge; it will be interactive. 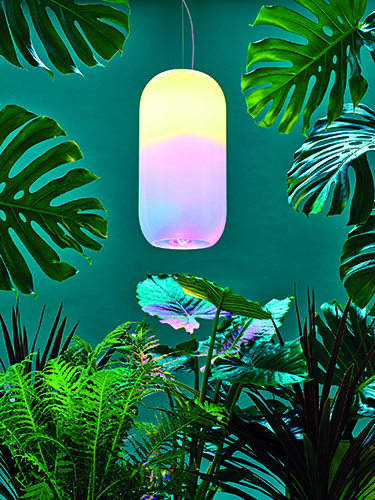 Artemide has the ability to produce not only the most suitable light for every indoor and outdoor space, but also management and information intelligence: advanced digital interaction systems, the Internet of Things, Sensors, Apps, LI-FI and Geo Li-Fi, through to designing actual software. Innovative management intelligence can be integrated with products to put together the perfect lighting solution with an innovative interpretation of interaction and service while providing a more modern, exhaustive and versatile response to design and application requirements. Artemide, an historical leader in lighting, has always been a synonym for Innovation and Made in Italy and its products are seen as contemporary design icons internationally. 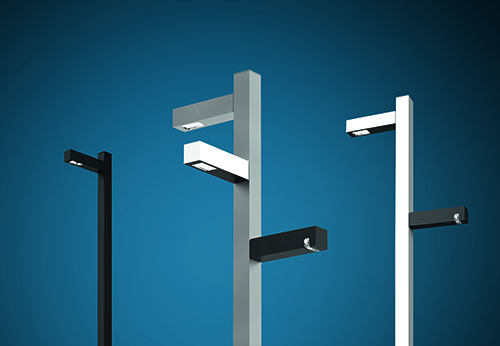 Founded in 1960 by Ernesto Gismondi, Artemide is based in Pregnana Milanese and operates through 24 subsidiaries. Its distribution network includes approximately 50 branded showrooms in the main cities around the world. With 5 manufacturing units in Italy, France, Hungary, and Canada, a glass-works, and 1 Research & Development centre supported by prototype labs and groundbreaking tests, Artemide currently has more than 700 employees, including 60 engaged in R&D, thus confirming the key role of innovation in the Group’s success. Artemide appliances are on display in major modern art museums and design collections all around the world and received several important acknowledgements, including the Compasso d’Oro ADI award with such products as Eclisse by Vico Magistretti, Tolomeo by Michele De Lucchi and Giancarlo Fassina, Pipe by Herzog & De Meuron, IN-EI Collection by Issey Miyake + RealityLab, Discovery by Ernesto Gismondi. Artemide received the Compasso d’Oro Award for lifetime achievements in 1994, the prestigious European Design Prize in 1997, and the “Premio Leonardo Qualità Italia 2012” in 2013. Artemide has always worked with the most important architecture studios, each of whom has brought their own cultural perspective to the design of lighting solutions. BIG, Neri&Hu, MAD Architects, Gensler, Foster+Partners, Herzog & de Meuron, Jean Nouvel and Alejandro Aravena’s Elemental, the most recent of the six Pritzker Prize winners with whom Artemide has had the honour of working, are just some of the international designers whose work has resulted in innovative products and custom lighting solutions. Artemide Design and Architectural collections provide a unique blend of values: the approach to human and responsible light is combined with a design and material know-how producing a combination of next-generation technology and old wisdom – a perfect expression of sustainable design. An entrepreneur, architect, designer, and teacher, Carlotta de Bevilacqua is one of the main representatives of design and of the modern business vision. With a degree in Architecture achieved in 1983 at the Milan Polytechnic, she is the Vice President & CEO of Artemide and President of Danese Milano. 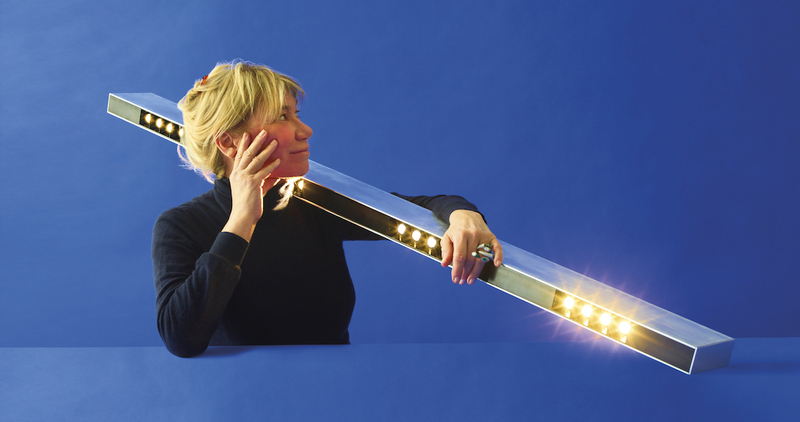 An experienced designer, she carries out in-depth research in the field of light. She designed lots of products for Artemide and Danese, which were acknowledged with invention patents and awards. In the lighting sector she introduced innovative technological perspectives and unprecedented scenarios characterizing the sensory experience and the interaction between communication and information (IoT), while exploring the new frontiers of research on photonics.